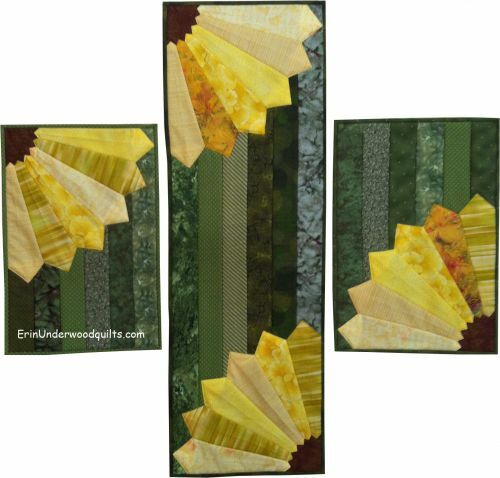 Use 2-1/2" strips and 10" squares to complete this cheery table topper! Placemat is 12-1/2" x 18"; Table topper 40" x 12-1/2". Requires the Creative Grids 15-degree Triangle Ruler (Listed for sale in Erin's Store under Rulers and Other Gadgets).